Itv Jedi 2, buena definición de la vela. 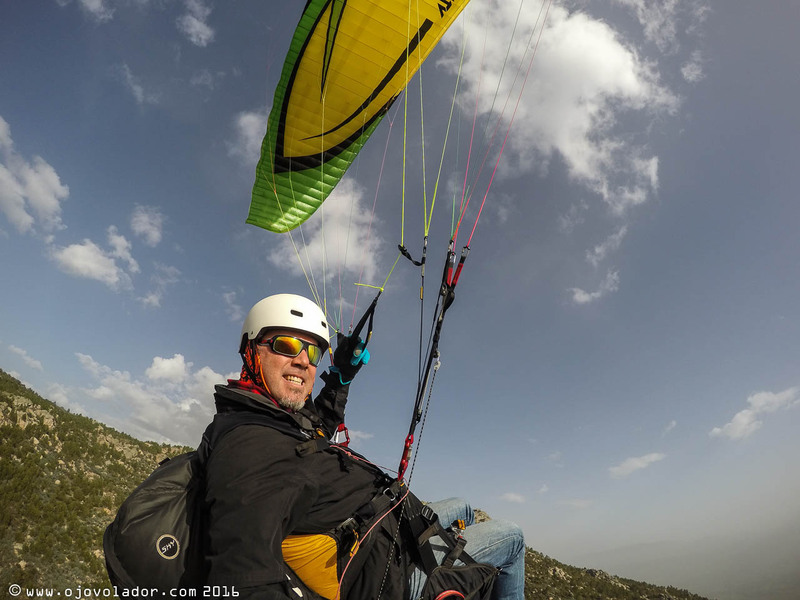 What a pleasant surprise I had with the new ITV Jedi 2 paraglider! 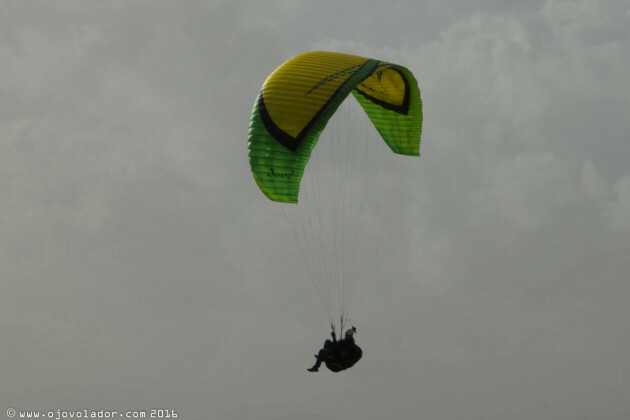 I had an idea of it as a multipurpose paramotor-free flight wing, but in my mind I put it more on the paramotor side; perhaps the visual design that I have seen and tested on ITV paramotor gliders contributed to that feeling. So, I expected solidity, speed, dynamism… but not the awesome glide ratio and potential for thermal flight that I found. 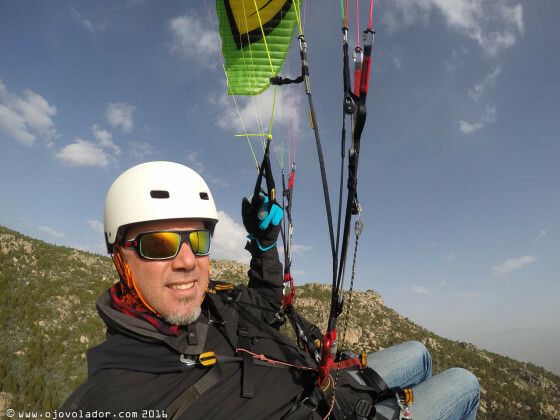 The thing is that on the two free flights I did with the Jedi 2, in complex spring conditions, I found myself riding a brilliant paraglider for thermal flight, which climbs remarkably well, with a smooth and progressive handling. It flies fast whether on the speedbar or not, with good sense of security and superior glide performance that places it in my particular top ten of the Club/EN B class. 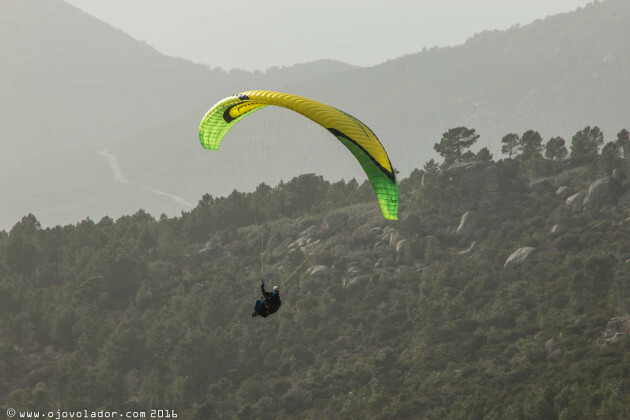 ITV defines the Jedi 2 as a “high” EN B paraglider, with 58 cells and an aspect ratio of 5.7. It might not be the most impressive wing in that respect (the average aspect ratio is around 5.5, approximately) but you can sense its power, and it is far from being a beginner’s glider. Inflation of the ITV Jedi 2 is docile and manageable. 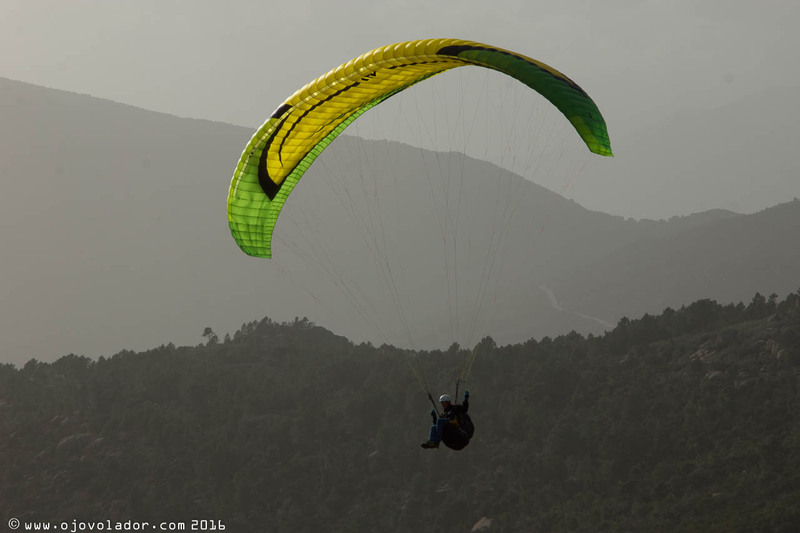 The Jedi 2 keeps the personality of its predecessor, offering a versatile spirit with dynamic and fun handling. 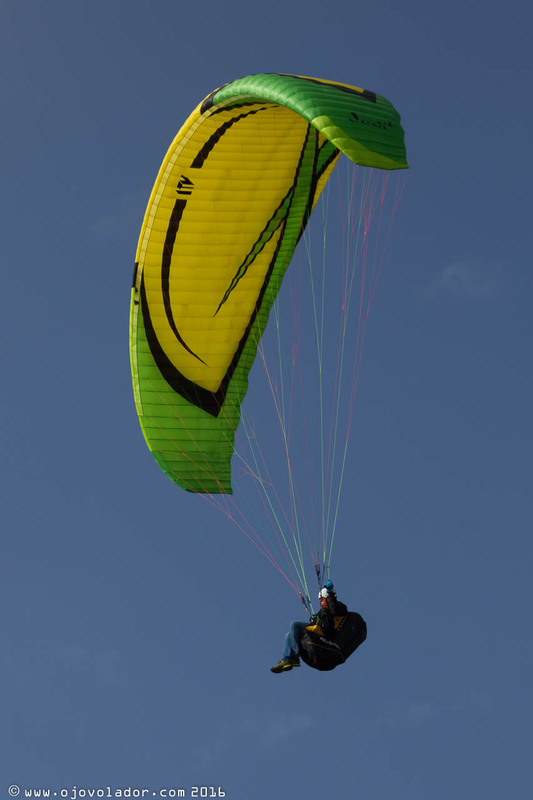 Inflation is simple and accessible, the glider rises gently and you can control if you want it to move up quicker. 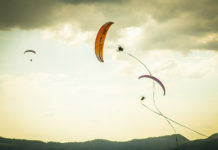 It reaches the vertical smoothly and with no tendency to overshoot, but when the air is gusting it requests more tension on the brakes to stay overhead. 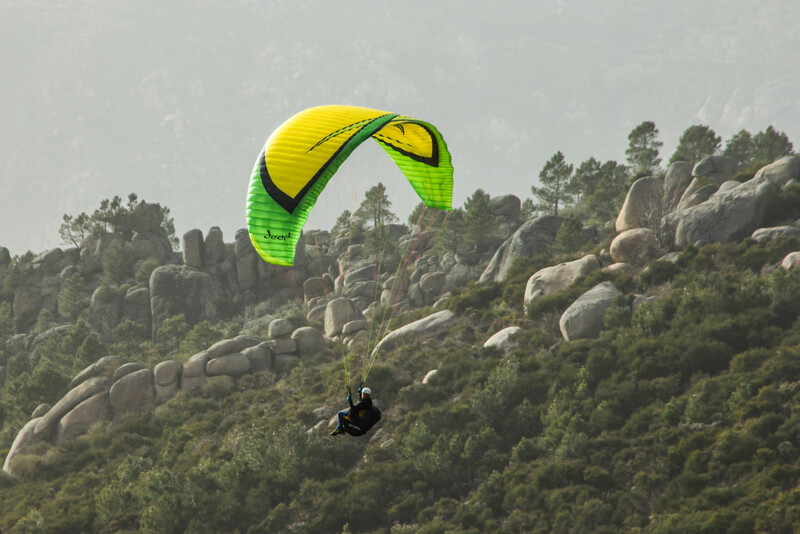 The Jedi 2 offers good lift capacity so with a little breeze you’ll be airborne in two steps. In straight glides and navigating the Jedi2 feels consistent. In the flights I did the air was bumpy, I had constant “wiggles”, small bumps and minor turbulence. However, I felt comfortable right away clinging to the large padded ITV handles. I let the glider fly, weight-shifting and giving it a touch of pressure at certain moments; in general, flying it is not much work for the pilot. 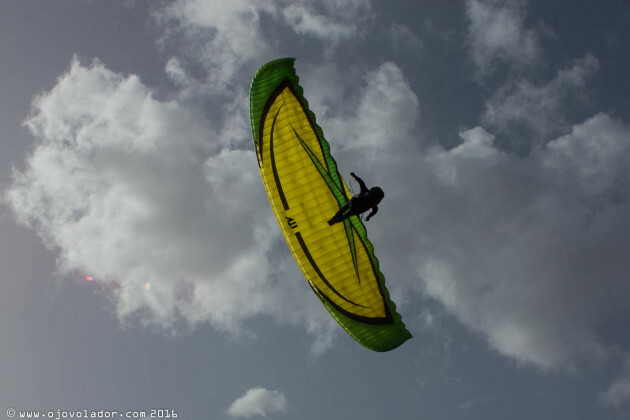 The Jedi 2 is a fast and quite dynamic glider in its class. An attractive quality for more advanced pilots, in thermal flight it has good response and it can offer a fairly flat turn thanks to the wing tips reacting first. If conditions are low you can draw large circles in “minimum sink rate” mode, while if you find a good core you can use more body and brake… and you’re going to have a great time carving it up. The ITV Jedi 2 boasts dynamic handling and good response in maneuvers like wingovers and spirals. 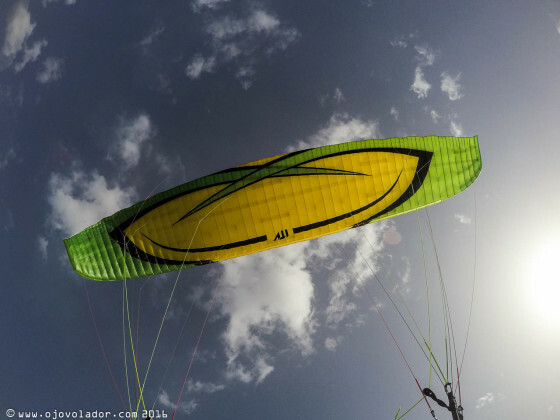 We have to say that this Jedi 2 has a tilt towards freestyle; there is something that invites you to play with it, do wagas and, of course, swing a little. ITV’s EN B wing is comfortable and safe in basic maneuvers like wingovers, asymmetric spirals, deep spirals, big ears, and on the collapses we tested. Reactions are moderate and easily controllable. The exit of a spiral is gradual with a smooth final rounding. Minimum speed is about 24 – 25 km/h, more or less like most wings of this class. The brakes get really hard, making it almost impossible to stall it by accident. Trim speed at about 40 Km/h is like most EN C wings, nothing bad. 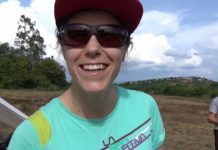 The speed system is soft, short for my long legs but 100% functional, allowing you to gain about 14 km/h, for a top speed that reaches about +/-54 Km/h. 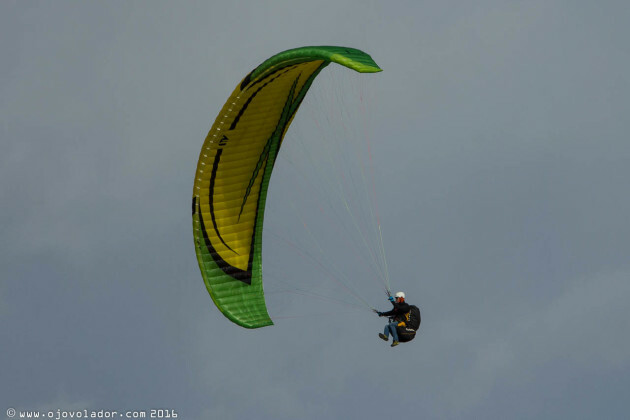 If you step on the bar up to half the travel the glider keeps very good performance; in the final 3 – 4 Km/h you notice how it sinks more. Inflation of the Jedi 2 is docile and uncomplicated. The Jedi 2 uses the same visual design of all the ITV range of gliders. ITV Jedi 2 boasts dynamic handling and responds well in maneuvers like wing overs and spirals. Ground handling the ITV Jedi 2 paraglider. The leading edge of the Jedi 2 has rods and Mylar reinforcements; the risers are new and thinner, with a PRO look that introduces quality details like the pulleys or the speed system with Dyneema lines and wide, reinforced pulleys. The brake handles are distinctive of ITV: large, soft and padded, they are designed to be used by passing the hand through them. I do not usually fly like this but it is not bad; when the handles are well set you have a good sense of total control, you notice a very good grip and excellent conduction of the energy. No wonder this is the way that most acro pilots use their handles. The lines on three floors are optimized with a hang point every three cells. All line are sheathed, something that pilots who usually take-off from stony or dirty areas will appreciate. The trailing edge has miniribs and pleating for a clean brake line. The Jedi 2 uses the same visual design of the rest of the ITV range. The Jedi 2 has that eye-catching, vibrant look of the ITV range. What happens to me is that I relate this visual design to paramotoring and smell of fuel. And although the Jedi 2 is a multipurpose wing, the truth is that it really excels in free flight and therefore would deserve to have an original design to distinguish it with an original, more “free flight” design. 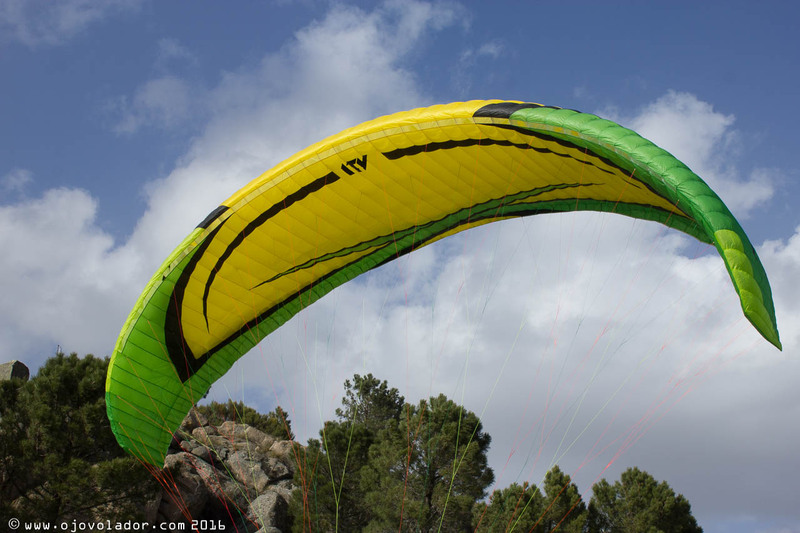 A multipurpose and solid glider with “free style” spirit, that has sporty handling and excellent characteristics for thermal and xc flying. 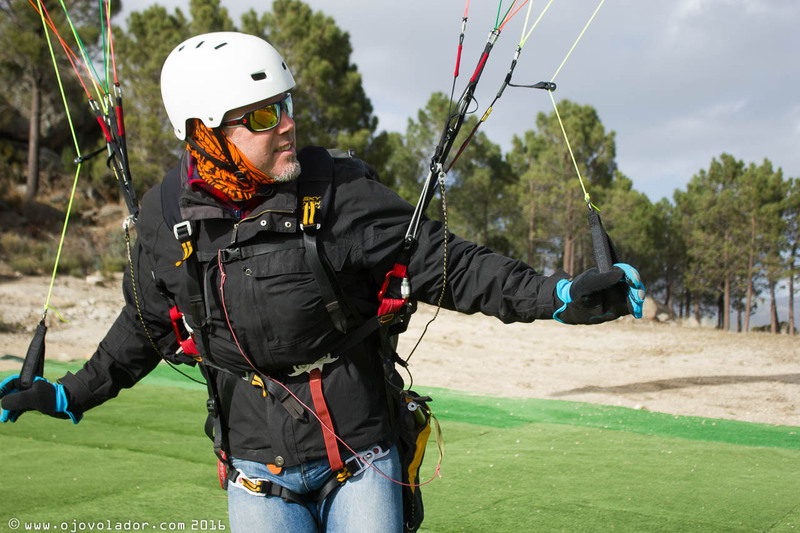 This Jedi has what it takes to fly long distances and compete in the B class. ITV Jedi 2: Solid and consistent, it absorbs turbulence well and it is comfortable to fly. It is noble and offers good responses, but due to its agility and vivacity we would not recommended it as your first EN B. The Jedi 2 needs hands with some experience behind. 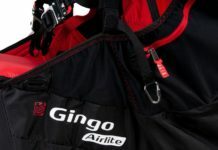 Intermediate pilots and above are, in fact, who will most enjoy it; pilots who want to progress in their skill level, while retaining the security offered by its EN B certification. 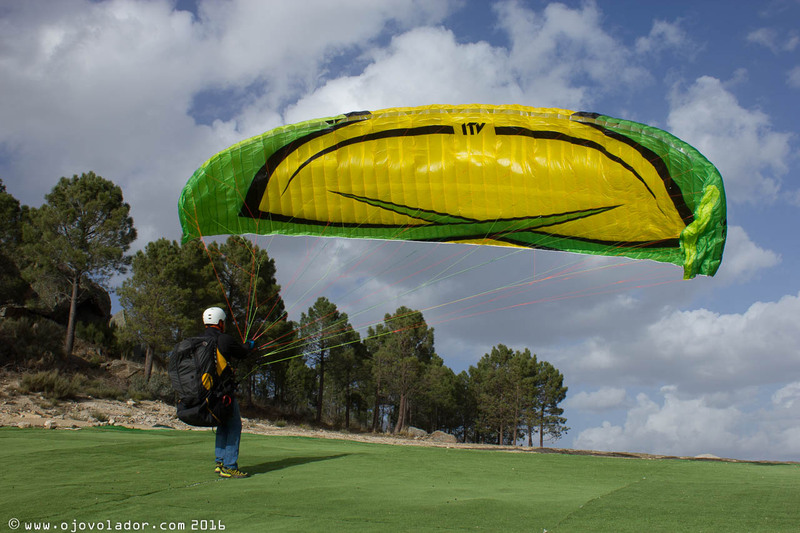 It is a glider for playful pilots and/or those who fly paramotor and want a good sporty XC wing that also flies well under power. 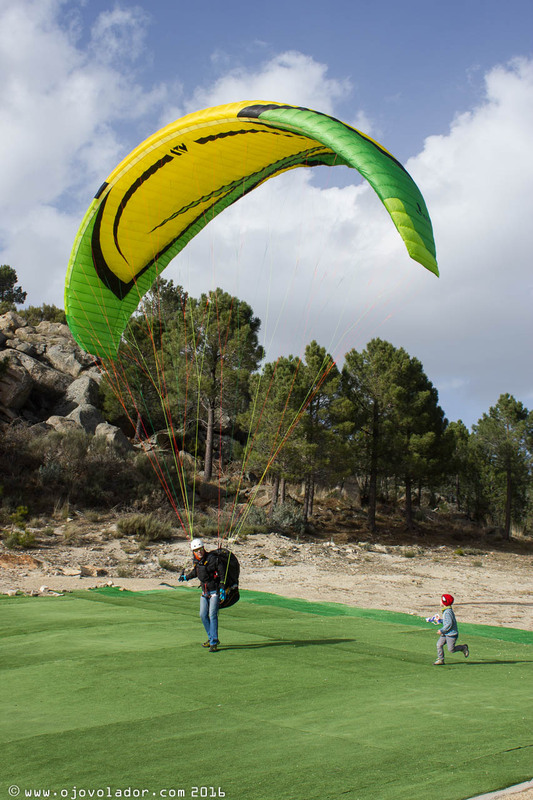 The Jedi 2 is available in 4 sizes: S, M and L certified EN B, and size XS certified EN C.
It offers a perfect combination of maneuverability and good glide ratio. 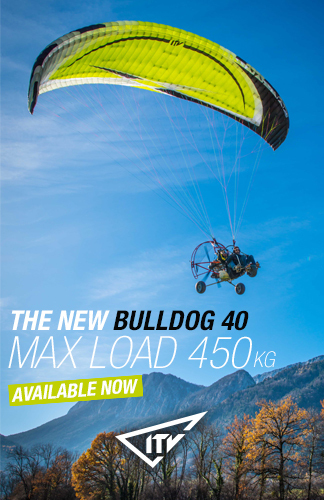 The visual appearance is a bit “heavy” for me, and I strongly associate it to paramotor flying.